We have all heard the expression, “If it’s not broken, don’t fix it.” In some instances this can be a true statement, but it’s not always the case when we are talking about marketing. Inbound marketing is a relatively new concept and chances are, if you’re a technology company still running the same marketing playbook you have for the past decade, then you most likely haven’t embraced inbound marketing. Maybe you have a website, but not a blog. Maybe you send a newsletter out every month, but remain inactive on social media. While some of these traditional methods have been successful for some companies, and many still are relevant, they aren’t the best way to generate quality leads and drive measurable results (at least when used on their own). It's easy for us to fall into a routine, if something works for us than why should we change? Well how about this as an alternative... Instead of dismissing every outbound marketing technique from your strategy, try proposing new inbound tactics and techniques as an addition to your current marketing strategies. Keep in mind, while this all sounds great to you, it's your CMO who needs to understand the ROI of inbound marketing before making any changes. Traditionally, and especially when they've been with the same organization for a while, CMOs don't like blazing new trails and experimenting with new tactics. Which is why it's important to remember that when you're trying to sell inbound marketing to your CMO, these types of tactics might be pushing them outside of their comfort zone and you need to truly demonstrate the value behind this methodology. If you want to really see your ideas for inbound in action, it's time to organize your proposal and start selling them to the CMO. And today we're going to show you how. If your CMO knew how successful and powerful inbound marketing truly was than they would have already implemented relevant strategies into their products and services. Since they still need some convincing it's your job to educate! Do your research! Nothing speaks louder then hard facts. Share some relevant statistics from Hubspot’s free annual report on the state of inbound marketing. Data trumps all, so if you can pull compelling statistics about lead generation and ROI out of your hat, your CMO will be much more likely to jump on board. Get responsive! If you have a website but it only looks good on a computer screen, it’s time to optimize. Sit down and show your CMO what the current website looks like on your smart phone, and discuss how certain platforms, like the HubSpot COS, can help reconfigure your existing site depending on what devices your visitors are using to view the website. Remember, this is called Responsive Design (check out our post for more info). And during your conversation, make sure to point out that a mobile optimized site receives a higher ranking in Google searches then one that isn’t (trust us, they'll love that!). Don't let change be scary! Make them understand that while change can be hard, these new inbound techniques are really not that different from the outbound techniques they're used to. We are talking about sharing more content about what we do in a blog post instead of just on our website. We're creating ebooks to generate leads rather than just sending out a newsletter. We're segmenting our email lists and nurturing prospects through the sales funnel using automated systems, rather than having our sales team follow up at each stage. And we're giving our brand some personality by sending out tweets and sharing photos on Facebook. Truthfully, each of these tactics is just building upon what we're already doing and optimizing it for conversions. And rather than just jumping in head first, putting all your eggs in the inbound basket, ease your way into this new methodology, making small tweaks to your current techniques. It's just important that you keep track of what you're doing so you can come back and prove that it really works. Rather than just having your company URL on your next print ad, use a unique URL that links to a landing page where visitors can download a content offer in exchange for their contact information. Not only can you track the ad's effectiveness, but you are also generating real leads. Repurpose some of your existing content. Say you're a software company and you have this really in-depth user guide that you send to your new customers. Strip that down to just the basics and use it as an ebook that introduces prospective customers to your platform. Not only does this make the sale easier, but you're providing your prospect with something of value (for free! ); they'll love it. Create a small call-to-action for an eBook, whitepaper or another educational offer and place it on your homepage. Have that CTA link to a landing page, with a form to collect the visitors contact information. .
Start a company blog (if you don't have one already). We've got a great introduction guide to business blogging that will clearly explain the benefits and how a company blog can truly grow your business. If you already have a business blog, take a look to see if you and your team are producing consistent, remarkable, engaging and educational content. Create an editorial calendar if not. And start sharing your posts on your company Facebook, LinkedIn and Twitter pages. If you share your content on every media channel you'll increase traffic to your website and start generating quality leads! Facebook photos receive 53% more “likes” than the average post. Videos are shared 12x more than links and text posts combined. Above anything else, your most valuable asset when you're selling inbound marketing to you CMO, is to show them results. If you created a call-to-action, see how many people downloaded your offer. If you created some new content for your Facebook page, see if it got more “likes” then usual or if you have a few new fans. Attach a tracking token to the URL of a new landing page so you can see how many visits, leads and customers you have gained through a particular campaign. And let’s not forget the most obvious…ask! Increase the communication with the sales team to figure out what worked and how profitable it was. At New Breed we truly believe in the success of unifying your sales and marketing team, so take advantage of their knowledge to help your inbound marketing strategy and techniques to become more successful! Have any more tips and techniques you would like to share with us? 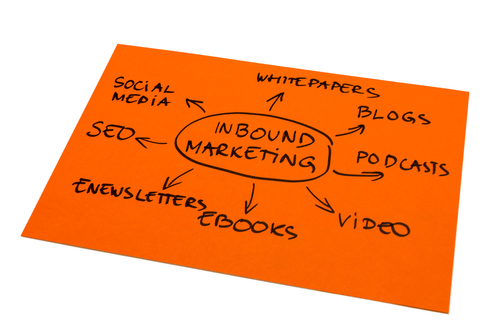 Maybe you have already successfully "sold" inbound marketing to your CMO. Or maybe you still need some support. These tips and more from previous and future posts will help you to successfully market the importance and power inbound marketing has in this very competitive and ever-changing industry!